What are your competition placings? 2016 ANB (WA), 1st Place Costume, 2nd Place Over 30. When did you become unhappy with your body and what motivated you to start the Fitness Model program? As a past National Sports Aerobics Champion, I had let myself go. I spend all day motivating others in my corporate role as Rehabilitation Consultant and I also coach school girls to be their best at sports aerobics. I wanted to finally do something for myself. The hardest thing was to prioritise my meal preparation and my own workouts when I lead an extremely busy life, but it is now a permanent lifestyle change and I find it much easier. 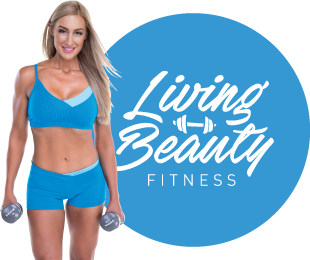 Now that I have been with Living Beauty Fitness for 7 years I have created healthy habits and maintained them for the long term. You’re Ambassador for Living Beauty, what does this entail?